On September 26, Dnipropetrovsk hosted the first Copter race. The championship was organized by the Noosphere Engineering School. The idea was to hold a copter competition, started a few months ago, when students from the Robotics technology and Electronics program were designing their first quadcopter. The first Copter Race, held in Dnipropetrovsk brought together more than 30 pilots with their quadcopters. The pilots dexterity as well as their drones speed and mobility were the key factors for experts to determine the winners. 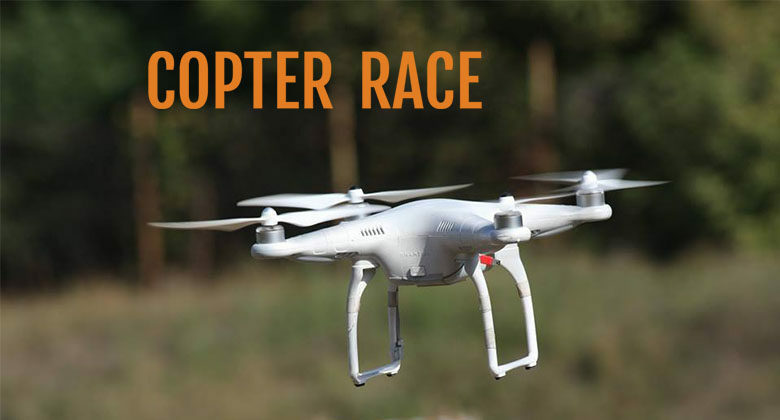 According to the race rules pilots had to fly over a 40-meter obstacle line and then land their copters on the target. All drones were divided into three groups according to the copter’s diameter. The first group included copters up to 30 cm, the second one included drones with a diameter more than 30 cm and the last one were octocopters. Some of the participants came with copters of their own design and shared their experience with younger engineers. The Copter Race was not only an outstanding scientific and technical event, but also a fascinating activity for families with children. The Noosphere Engineering School prepared various entertaining activities, including workshops, where experienced rocketry enthusiast showed how to design simple model rockets, competition on the Rube Goldberg machine creation and an amateur rocketry show, presented by the winner of the 2015 FAI European Championship for Space Models, Oleksandr Synielytsyi. Noosphere believes that such an unusual competition will soon become a widespread sport. We will be glad to see everyone at the next competition, which we believe, will be the All-Ukrainian Copter Race.